If you’re looking for something amorous to do with your significant other, look no further than the oak-lined and cobblestoned streets of our elegant city. Below is a selection of our favorite things for couples to do together in Charleston. Trade the stifling summer heat and suffocating crowds of tourists in historic downtown Charleston, SC, for a romantic day on the water. See the sights around the harbor, relax with the dolphins, or enjoy a romantic sunset on a classic 84’ tall ship. You can even take a night trip to experience a cooling moonlight sail. And because the Schooner Pride is powered solely by wind, you can avoid annoying engine noises or noxious diesel fumes while enjoying this serene Charleston harbor tour. 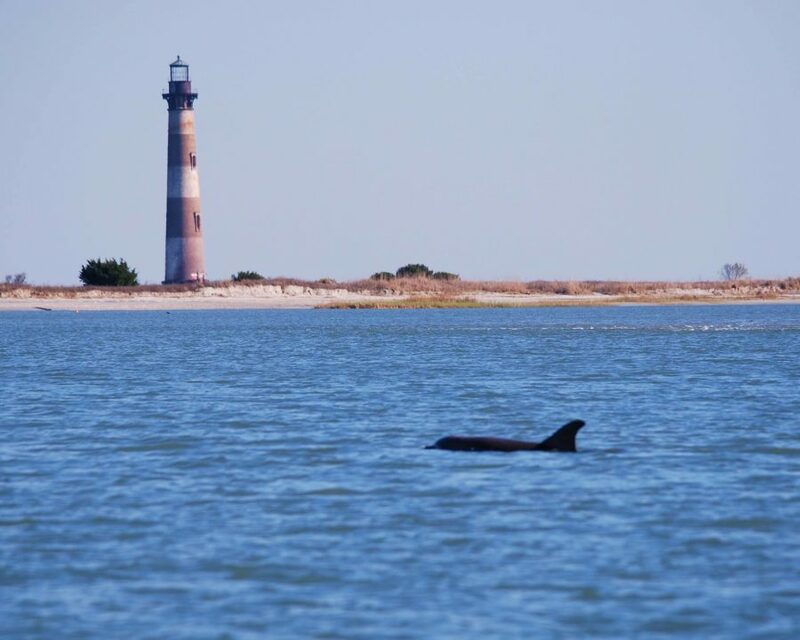 Off an isolated beach south of the entrance to the Charleston harbor sits the Morris Island Light. The lighthouse is about a thousand feet off the coast (despite having been constructed 1,200 feet from the coast when completed). As such, it’s in danger of further erosion from the ever encroaching waves. 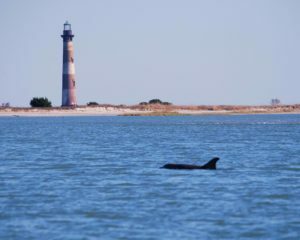 Views of the now defunct lighthouse are down a short path from the north-east end of the last Folly Beach parking lot. This is one of my favorite off the beaten path Charleston attractions. The walk of a quarter of a mile is definitely a romantic stroll worth taking. The moment you reach the crest of the dune and can take in the view of this beautiful historic site out at sea is breathtaking. A walk along one of the more secluded Charleston beaches is certainly worth the trip in and of itself. There are actually a ton of romantic outdoor activities in and around Charleston. Most of these activities could be turned into romantic days out together. Be sure to take advantage of the 24-karat gold facial treatment, unique to Belmond Charleston Place. It’s also a perfect way to be uniquely decadent. The Belmond Charleston Place is also the location of some of the best shopping in downtown Charleston, SC. The most famous option is the Charleston Grille, one of the most expensive restaurants in town. See the city in style with a romantic carriage ride with Palmetto Carriage Works. The guides blend wit and extensive knowledge to recount a vibrant narrative of Charleston’s quaint and elegant 300-year history. One of the best times to enjoy a tour with one of the best carriage rides in Charleston is in spring and early summer. Flowers are in bloom, and the air is heavy with the fragrance of jasmine. Take a day tour to see such historic sites as Rainbow Row. You can also snuggle up and enjoy a night ride from the Big Red Barn on Guignard Street, near the Charleston City Market. If the weather is nice and you feel like a leisurely stroll through gardens and swamp, visit the Cypress Gardens. Since 1931, Cypress Gardens has been a destination for couples and families alike. View the spectacular foliage or frolic with the butterflies in the butterfly house. While not necessarily romantic, there is also an aquarium and reptile house on site as well. Boat rides under the tupelo and cypress trees of the black swamp are also a draw to this location that has been featured in popular television shows and movies like the Patriot and the Notebook. If you appreciate the beauty of nature, the Cypress Gardens is a must see, provided the work has finished from the damages wrecked by the Charleston flooding of October 2015. For a less expensive alternative (that’s still open), be sure to explore the Caw Caw County Park. While lacking the beautiful gardens of the Cypress Gardens, it has some sweeping views of the marsh, a boardwalk of its own through the black swamp, a bucolic meadow that’s the former site of an old plantation called Laurel Hill, and much more. Plus, it’s open. Looking for an exciting activity to take your date? Although it is not a hands-on cooking school, the Zero George Cooking School teaches you the fundamentals of a three-course gourmet meal. Taught by Executive Chef Vinson Petrillo and sous chef Amanda Black, the class demonstrates proper techniques to create fantastic meals. After watching and enjoying the meal prepared in Zero George’s circa 1804 Kitchen Carriage House, you’ll have the knowledge and wherewithal to go home and create your own Southern masterpiece. Some of the oldest and most famous plantations in America are in the Charleston area. Magnolia Plantation and Gardens, Boone Hall Plantation and Gardens, Drayton Hall, and Middleton Plantation are worth a visit whether exploring with a date or a friend. After a tour of the historic house of these Charleston plantations, simply wandering around the grounds of any other historic sights makes for a perfect afternoon of romance for couples visiting Charleston. There are few things better than a night on the town with your boo. 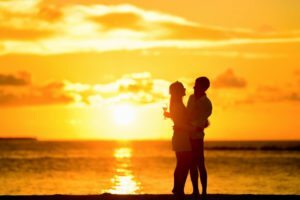 Whether you’re looking for a fancy meal at one of most romantic restaurants in Charleston, a few cocktails, or something a little more exciting, the options for romantic and fun things to do at night in Charleston are guaranteed to please. While not something just anyone would consider romantic, a minor league baseball game at the Joseph P Riley, Jr. Park can be a pleasant afternoon or evening activity in the warmer months. Be sure to see one of the Friday fireworks display after the game. Owned and managed by the City of Charleston, the historic Dock Street Theatre has been around for four centuries in the French Quarter neighborhood of downtown Charleston. Built on the corner of Church Street and Dock Street (now called Queen Street), the first performance at the Dock Street Theatre was The Recruiting Officer, which opened on February 12, 1736. The original building likely burned-down just a few years later (in 1740), but the current theatre was constructed in its place in 1935. In the interim period, the site was where the Planter’s Hotel was located. Today’s box office lobby is actually where the hotel’s dining room was situated. Enjoy a live show and marvel at the location of many firsts in America. Dock Street is the first building constructed only for theatrical performances. It was also site of the first opera performance. No matter what brings couples to Charleston, savoring romantic dining establishments is one of the more popular things to do here. The list of fantastic fine dining restaurants in downtown Charleston seems to be never ending. Below are some of the best restaurants perfect for romantic date nights for couples. 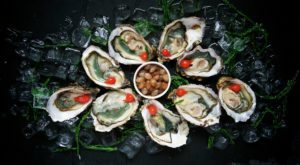 Many of these are some of more fancy restaurants in Charleston, but almost any local Charleston restaurant can be an ideal location for a date. If you’re looking for cheap date night ideas that won’t break the bank, check out our list of the best casual restaurants in Charleston, SC. For those looking for a unique and memorable fine dining experience, look no further than Circa 1886. Voted the thirteenth best fine dining restaurant in America by Tripadvisor, Circa 1886 takes pride in serving healthy renditions of distinctive southern dishes. They take a local approach to fine dining, serving up locally sourced food with family-like service. 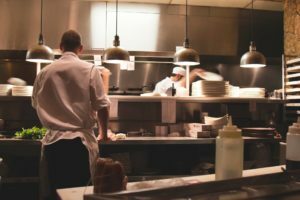 As is the case with any fine dining restaurant, the prices are a bit steep, but there are definitely menu items that are affordable as well as delicious. The Charleston Grill is another local favorite in the Belmond Charleston Place. In addition to providing culinary delights, the Charleston Grill is also a destination for world-class jazz. Regardless of the day, you can hear the the warm sounds and percussive accents of sweet soulful jazz every night of the week. Kick back and relax on the comfortable couches in their lounge, where you can have access to their full drink and food menu. In the heart of Charleston’s historic district – where palmetto fronds rustle and copper lanterns flicker with the ebb and flow of the crisp night air – you can find the Peninsula Grill. With a dining room, champagne bar, and outdoor courtyard, the Peninsula Grill calls itself one of Charleston’s true hidden gems, though how one can be hidden on Market Street is beyond this writer. They have a wine list with more than 300 different selections and an Ultimate Coconut Cake that is absolutely not to be missed. Located in the French district, Cypress offers great food at great prices. They are particularly well-known for their five-dollar burger night on Mondays. Whether you opt for the wasabi tuna, salmon wellington, or a cup of tomato basil soup, your taste buds will undoubtedly be jumping for joy. If you’re looking for some good seafood, you might want to consider the High Cotton. Although they’ve recently undergone a transition under new management, they are still considered one of the best seafood restaurants in downtown Charleston. Fried oysters, crab cake, shrimp and grits, whatever you’re hankering for as far as Lowcountry cuisine is likely present on the High Cotton menu. Offering soul food, brunch, and a classy ambience, Magnolias is a reasonably priced restaurant that guarantees a memorable experience. Their contemporary but upscale dishes include such local staples as she crab soup. As a warning, the old building can be a bit drafty, so make sure to bring a scarf or light jacket so you don’t get cold. The cozy atmosphere of the dining room featuring banquette seating and white tablecloths behind a vine-covered exterior facade makes for a wonderfully romantic candle-lit dinner. That being said, its upstairs terrace also offers fantastic open-air dining in the warm months. No matter where couples are seated, the Northern Italian fare will seal the deal as far as demonstrating why Fulton Five has been selected as the most romantic restaurant in Charleston by the Charleston City Paper’s readers 18 years running. Another invention of James Beard Award-winning chef Sean Brock, McCrady’s unique and innovative menu keeps even the slightest hint of boredom at bay in a beautiful and very historic location in the French Quarter (the site of the first tavern in Charleston). While most famous in Charleston for their masterful steaks, some very interesting additional fare has been known to leave the kitchen: seared scallops and braised duck among others. There’s no question Hall’s Chophouse is the restaurant to visit for couples looking to impress. Slightly North of Broad, or SNOB, denotes its location on East Bay Street, slightly north of Broad Street. This restaurant is where Executive Chef Frank Lee helped establish the New Southern style of cuisine that is now the norm in Charleston. To this day it still reliably serves an eclectic though delicious menu. The lunch menu at SNOB is not to be missed–just $10.95 covers the entree of the day, a soup or salad, and a drink. 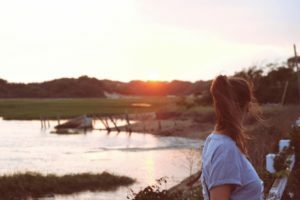 For those looking for free romantic things to do in Charleston, there are actually a few options: exploring some of the parks, like Hampton Park, Waterfront Park, or White Point Garden; wandering through the College of Charleston campus, or spending a day at one of the Charleston beaches. After a busy day of romance, what better way to end it than to retire to one of the local hotels or inns in Charleston, SC? 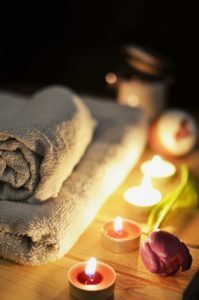 Even if you live here in town, a romantic evening can feel like even more of a break from la vie quotidienne with a visit to a local lodging establishment. Some of the best places to stay in Charleston, SC, include: a romantic luxury bed and breakfast like the John Rutledge House Inn. You could also select from the best boutique hotels in downtown Charleston, SC, such as Zero George, the Vendue, or the Grand Bohemian Hotel. Much larger hotels in Charleston are also an option, including the Belmond Charleston Place. Feel free to explore our favorite romantic vacation packages in our guide to planning honeymoons and romantic weekend getaways in Charleston, SC. 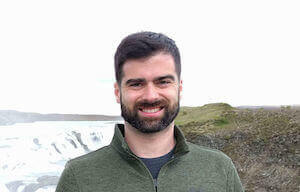 You’re sure to find a hotel or inn happy to plan your trip for you, for a fee. While certainly not exhaustive, there’s more than enough romantic ideas for more than one trip to Charleston. Time to plan one to one of the best vacation destinations in the world soon! 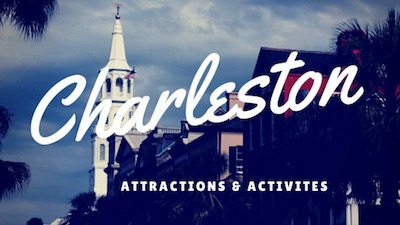 And be sure to see even more recommendations on the best things to do in Charleston, SC, on the rest of The Best of Hipster Charleston. And if you’re looking to go farther afield, I highly recommend a visit to Asheville, North Carolina. Asheville’s famous for being the second hipster capital of the Carolinas in the beautiful Blue Ridge Mountains. And there are more than enough romantic things to do in Asheville, NC, for couples to enjoy over a long weekend. Enjoy your trip!